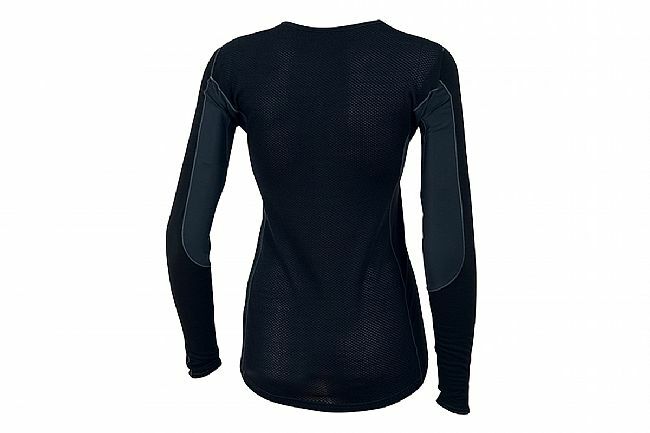 Pearl Izumi's Women's Transfer Wool LS Baselayer combines high-quality Merino wool and moisture-wicking polyester in a strategic blend for exceptional performance. It's form-fitting cycling specific shape, thumb loops, and soft merrow seams create a comfortable interior environment for cold weather and changing conditions. Moisture wicking & odor resistant. Patent Pending anatomic Speed Sleeve shoulder construction. Cycling specific, close-to-body, anatomic fit. 20°F to 45°F recommended temp. range.